This site is ideal for low intensity office, retail, or assisted living uses. 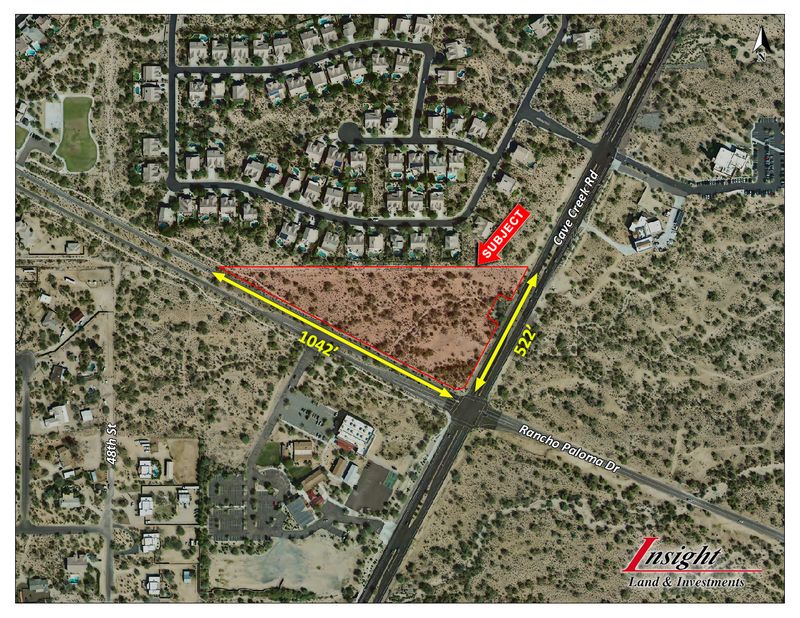 Traffic counts on Cave Creek Road range from 20,000 to 28,000 vehicles per day. The 2014 average household income within 1,3 and 5 miles from the subject varies between $111,434 and $116,331. UNIT PRICE: $9/ Sq. Ft.
All information furnished regarding property for sale, rental or financing is from sources deemed reliable, but no warranty or representation is made to the accuracy thereof and same is subject to errors, omissions, change of price, rental or other conditions prior to sale, lease or financing or withdrawal without notice. No liability of any kind is to be imposed on the broker herein.